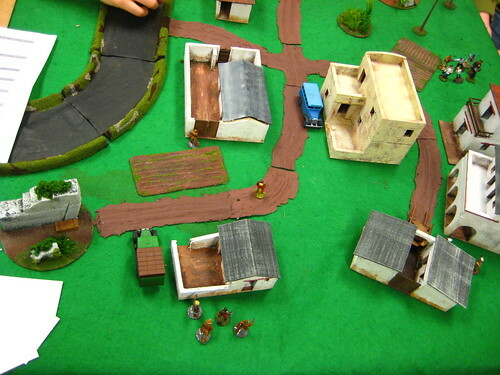 Sunday’s five-player Pulp Alley game set a number of “firsts” locally, as our biggest-ever Pulp Alley-powered game with five players and about thirty figures on the table, and as the first appearance of the “Weird League” rules from the new PA supplement, Perilous Island. 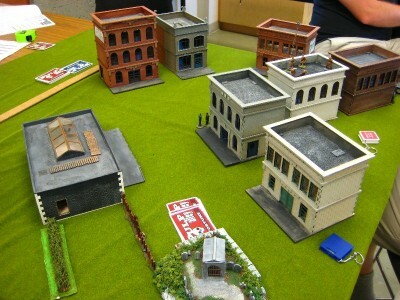 It was also the first on-table appearance of my newly finished urban buildings from Sarissa Precision. Sean pulled out his half-painted The Shadow figure and quickly thrashed together a League based around The Shadow, using the “Dark Pact” League Perk to add a number of powerful and creepy Shadow-like abilities, notably the ability to vanish from the gaze of men (and women…), and the ability to seemingly teleport straight through solid walls, among other things. Neither of us have built Leagues with the new “Weird” abilities, but as far as I know The Shadow & friends are properly constructed and we used the rules correctly. The “Weird” abilities certainly add a very cool flavour and some great new powers to the Pulp Alley game, and I’m looking forward to future outings of The Shadow, and to building new Leagues (or re-building old ones) to incorporate more of the “Weird” abilities. 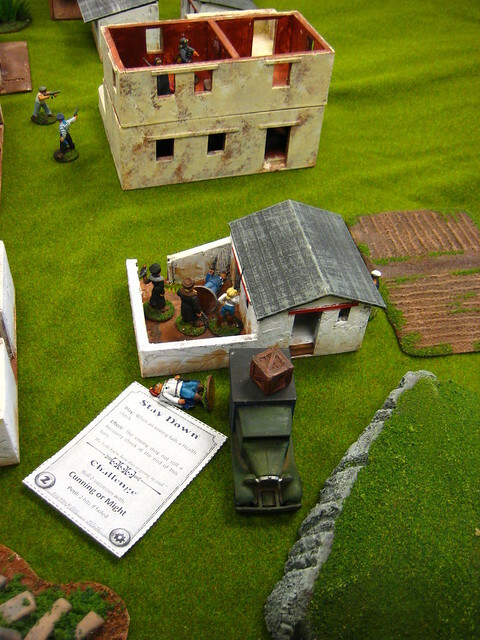 I’m also pleased to report that Pulp Alley moves along just fine with five players and thirty figures; it’s naturally a bit slower with that much stuff going on and that many people, and the tabletop can be gloriously crowded, but the system works just as well for a big crowd as it does for two players with six or ten figures total! 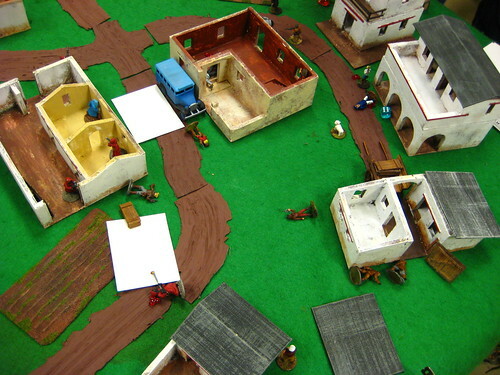 A Pulp Alley game setup, before the action starts. Click for larger, as usual.